In this month of Technology, we've got you a new health widget and tips for education apps for kids! We are excited to announce that we just launched Better Health Channel widget on Playgroup NSW website! This new widget will allow you to search for health related information on an extensive range of topics from anxiety management to tips in raising your child and many more. All information on Better Health Channel is approved by healthcare professionals and has approval stamp from Victorian government. We believe this feature will provide you a trustworthy source of information for a healthy and happy life. Let's start the search now! Speedo® the world’s leading swimwear brand is passionate about life in and around the water. Inspiring confidence in water, that’s what we are all about. From learn to swim through to swimming for fitness, our mission is to inspire people to swim and we aim to do that by encouraging healthy activity of swimming. It’s what we’ve been doing since 1928 and as we inspire each new generation of swimmers, that confidence keeps on shining in everything we do. With natural affinities at the beach and the pool, we have swimwear and equipment for people of all ages to do all sorts of water activities. 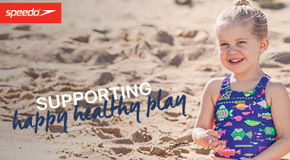 As Playgroup NSW members, Speedo is pleased to offer you 20% off everything at Speedo.com.au by using the code SPEEDOPLAY at checkout. Regardless how you look at it, screen time is one of the inevitable of today's digital world. 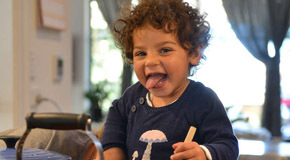 The good news is we can totally make it a win-win situation by picking the right content for our kid(s). 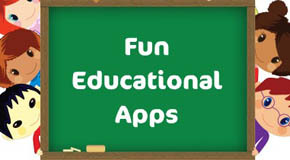 Have a look at this carefully curated list of good educational apps that can encourage our little ones to learn while playing. Winter is the best time to get crafty indoor. 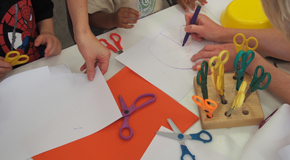 Let's learn how to set up a craft corner at home or at your playgroup! This is the dreaded time of the year for parents when your kid(s) seem to catch all sort of winter lurgies. While there is no single way to fix the flu, One Handed Cooks’ nutrionist Jess Beaton has listed out her top ten cold busters food to beat the winter bugs. School holidays are on the way. 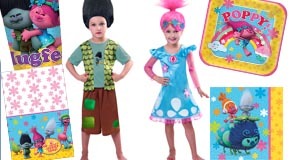 Let's throw the ultimate Trolls themed party! Have the best Trolls inspired celebration and the Trolls happiness and hugs are sure to follow. All Playgroup NSW members will stand a chance to win this party pack (worth $100 each). Make sure you enter this competition before 31 Jul 2018. It's cold out there and we bet all mums have winterized your bub(s) by now. This month, Milton's brought us their newest antibacterial kit just right in time to fight off the winter lurgies! All Playgroup NSW members will stand a chance to win this fabulous sterilization & antibacterial bumper prize pack (worth over $70 each). Make sure you enter this competition before 31 Jul 2018.